To call this guy, "Depression Hawk" sounds, well, depressing. But the year of his introduction –1929 – no doubt influenced his more rigid and solemn expression. 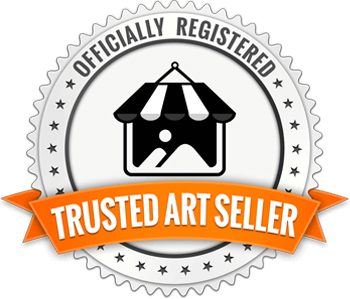 Officially licensed by the University of Kansas, this is an exquisite fine art giclée print reproduction of the original painting. 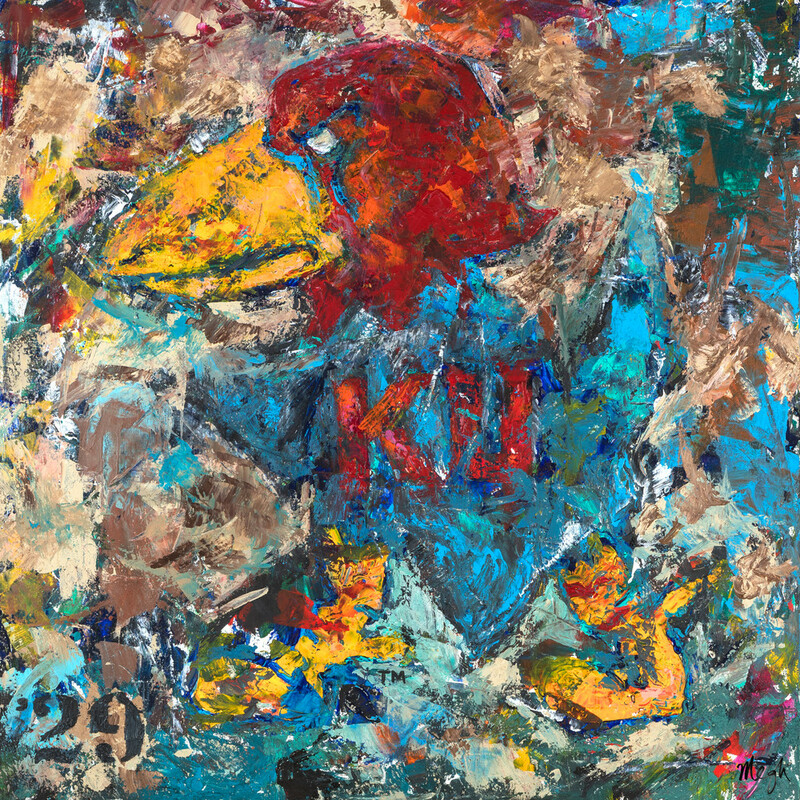 This is one of The Original Six collection which was featured by The Kansas City Star, ESPN Kansas City and The University Daily Kansan. The '29 was introduced during the Depression era, and is the first one to be sporting sharp talons for maiming opponents. I used darker colors in this painting to reflect the time and general mood of the era in which he was introduced. The '29 year on the bottom left was styled to match the wooden seat numbering at Allen Fieldhouse.